This was bound to happen. Sooner or later the bacteria will mutate into a genome to adapt to their world; no matter what antibiotics they are given. The strongest survive. The overuse of antibiotics over the last several decades has made a case for evolutionary changes for bacteria. An antibiotic for the simplest physical complaints has gotten people into the habit of asking for an antibiotic for every occasion. We're even getting them injected into our food. Bacteria can no longer hide. No wonder they are escaping the latest antibiotics. But now resistant bacteria are getting stronger and invading parts of the body where they do not belong, like the bloodstream, lungs or urinary tract. These illness are becoming untreatable. 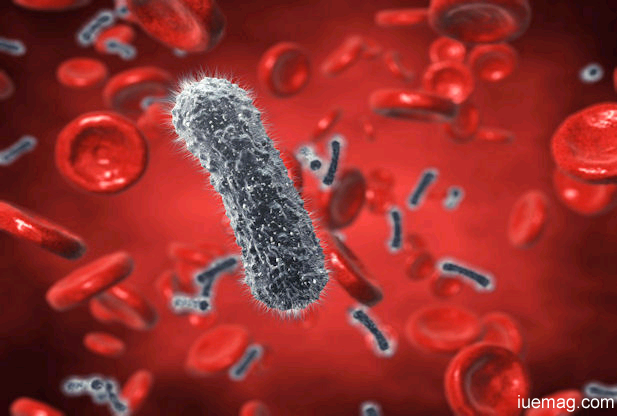 The death rate from bloodstream infections can reach 50 percent. Dr. Thomas Frieden, director of the Center for Disease Control, called the organisms "nightmare bacteria", and noted that they could pass their trait for drug resistance - encoded in a scrap of genetic material called a plasmid - along to other bacteria. According to a new report by the disease centers, among all infec-tions with gut bacteria, the proportion caused by carbapenem - resistant types rose to 4 percent in 2012, from 1 percent in 2001; among infections caused by one type of bacteria, Klebsiella, 10 percent have become resistant, compared with 2 percent a decade ago. When Penicillin was introduced by Alexander Fleming in 1928, it was a miracle drug, curing infections of all kinds. Now you rarely hear about it; we have more powerful antibiotics. More powerful antibiotics mean more bacterial mutations. 75% of your immune system is in the mucosa of your gastrointestinal tract. It is in the lining of your mouth, throat, esophagus, stomach, small intestine, and colon. This is your first line of defense. Over time, your immune system has been beaten down through stress, bad foods, and a host of toxins, including microbes. In addition there is the assault on the immune system that comes from the presence of abnormal yeast and fungi and bacteria in the gut. Many people have a deficiency of normal flora in the colon and an over-growth of bacteria in the small intestine. Research shows, for example, that those with chronic fatigue syndrome have a deficiency of normal flora in the colon, yet a bacterial overgrowth in the small intestine, and that that combination of abnormal flora increases pro-inflammatory cytokines --- with a particular Th2-dominant cytokine profile. The entire gamut of immune imbalances; including elevated inflammatory cytokines, low natural killer cell function, high CD8+ cytotoxic lymphocytes, high CD38 and HLA-DR activation markers, high CD28+ T cells, and low CD11b expression, along with defects in T cell and natural killer cell activation associated with protein ki-nase C, can all be of gastrointestinal origin. A person today has the immune resistance far less than a person years ago. Of course this person today is ingesting far more antibi-otics than ever before.